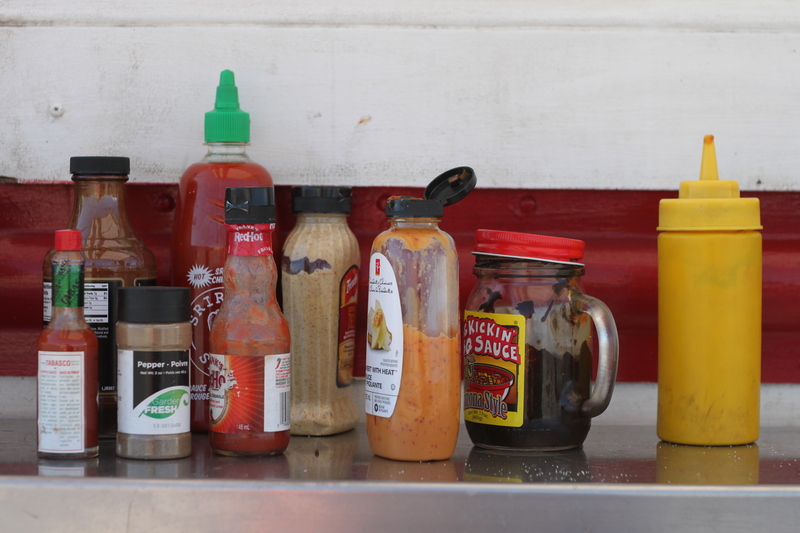 Grab your favourite condiments and get ready to party! There’s a Food Truck Party on July 31 at the Museum of Natural History. There’ll be tons o’ trucks: Cheese Gypsy, The Firefly Feast, FoodStruck, The Food Wolf, Halifax Press, Ol’ School Donuts, Tin Pan Alley. And Lemon Dogs and Mortiscycle, the edible sideshow will also be there. CKDU will be providing some tunes, so there is a $2.00 cover to this party. And, of course, the Museum is right there, ya ding dongs. Get a hot dog and get some culture, already. Ray’s Lebanese is re-opening tomorrow in Burnside. Get thee to 75 Akerley Blvd!! July 30 will be sad day for macrons in Halifax, as MŌDA Urban Dining is closing down. The owners, Melissa and Matthew Pridham, are moving to Bermuda. The space will have a new restaurant opening this fall, with new owners. Stay safe, umlauts. A coffee shop is dropping anchor in the middle of Pro Skates at the beginning of August: Anchored Coffee! See what I did there? They will have a 20-seat cafe tucked away in Quinpool’s coolest shop, along with some outdoor seating. This cafe is going to be focusing on trendy ol’ toast as well. The bread will be courtesy of one of the fanastic bakers from The Canteen and will served with homemade butters and other tasty spreads. If that toast is more than, like, two dollars, I’ll be serving up some real attitude right back at them. The other plan is to make super tasty snacks that are the mostessest like Hostess’s, making homespun versions of corner store favourites like Twinkies, Joe Louis cakes, Pop Tarts, and Rice Krispie squares. Those goodies will be baked up in the Halifax TIBS bakery, special for the Anchored cafe. Certainly Cinnamon is hinting at some big news on their Twitter (@cinnamonmanHFX). WHAT IS IT???? Those adorable kids at Hope Blooms got a letter from Prince Charles because they gave him some salad dressing, making each of those kids cooler than Cool Hand Luke. The Mic Mac Bar & Grill has closed its old location and should be open for business in the new place on Friday! I’ll miss you, sticky tables and gross floors! You were the best! RIP! A new all-day-breakfast place called Robie Street Station is opening in the old Jane’s on the Common spot, with a little take-out joint called Robie Street Express next door. Yay! Nice to see something in that rad space again. Apparently Bootz in Burnside — the revamped Rodeo Lounge — has also closed. I guess I’ll never see my dream of a Super Friendz reunion show there, which is a real bummerz. Also done: the Bluenose II Restaurant up on Bayers Road. And, after two weeks in business, Sushi Jet has closed. LOLOLOLOLOLOLOL J/K J/K J/K NO IT HASN’T!!! I just couldn’t resist that big of Granville/Salter humour. It is, however, all-you-can-eat sushi, which is something I didn’t know until today. I’m guessing it’s a tribute to the fact that that building is an all-you-can-close restaurant location?